We couldn’t be more excited for the film adaptation of Stephen King’s IT, especially since the trailers that are being released are getting increasingly more terrifying. Throughout this week Warner Bros. Pictures have been teasing us with several new TV spots that tease us about the horrors to come. 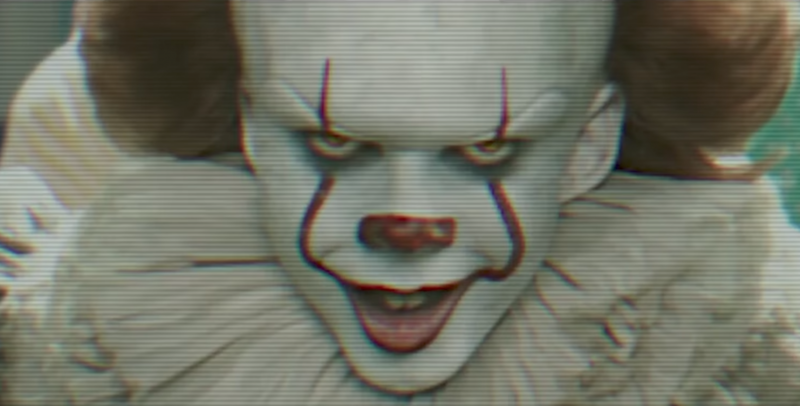 Especially since these trailers feature more of Bill Skarsgård’s horrifying clown Pennywise, a villain that’s already giving us nightmares. Not only are we treated with a creepy trailer that shows the iconic villain appearing on television chanting ‘kill them all’, but the second is even more scary as Pennywise runs towards the camera chasing after you in a haunted mansion. The new adaptation of the popular story is definitely going to be one of the most frightening films of 2017, especially since it includes scenes that were considered too intense for the 1990 television movie that starred Tim Curry as the infamous clown. Even horror master Stephen King, who famously dismisses adaptations of his work, approves of the new film saying that ‘it succeeds beyond my expectations’. The fact that even King likes it makes us even more eager to see the adaptation which will be split into two films and looks set to be more faithful to the original material. You will need to be ready with a coat to hide behind though as it is sure to be unsettling. IT creeps into cinemas September 8.